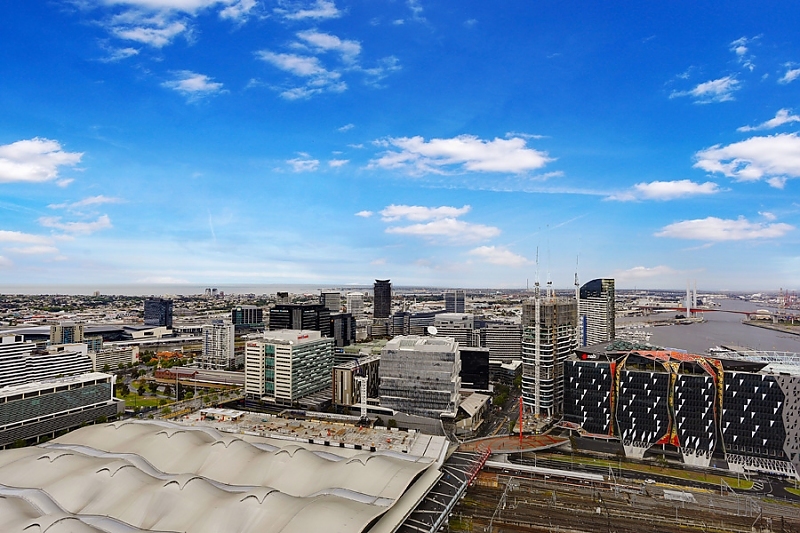 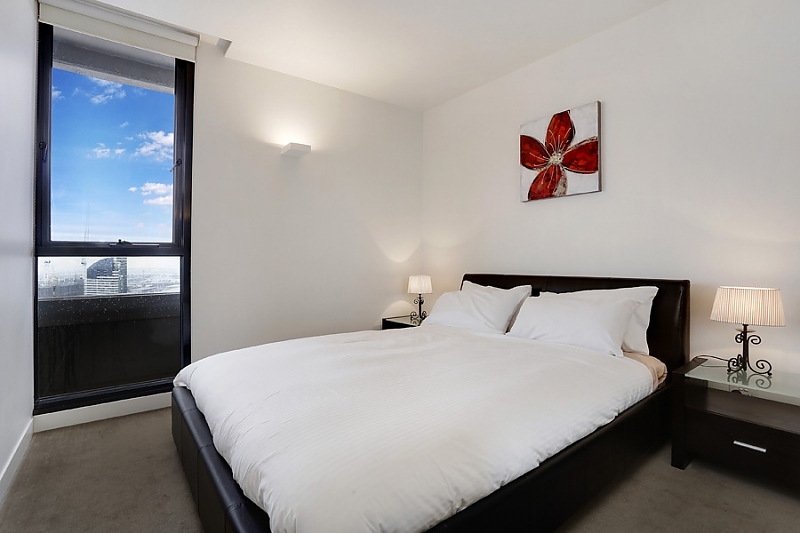 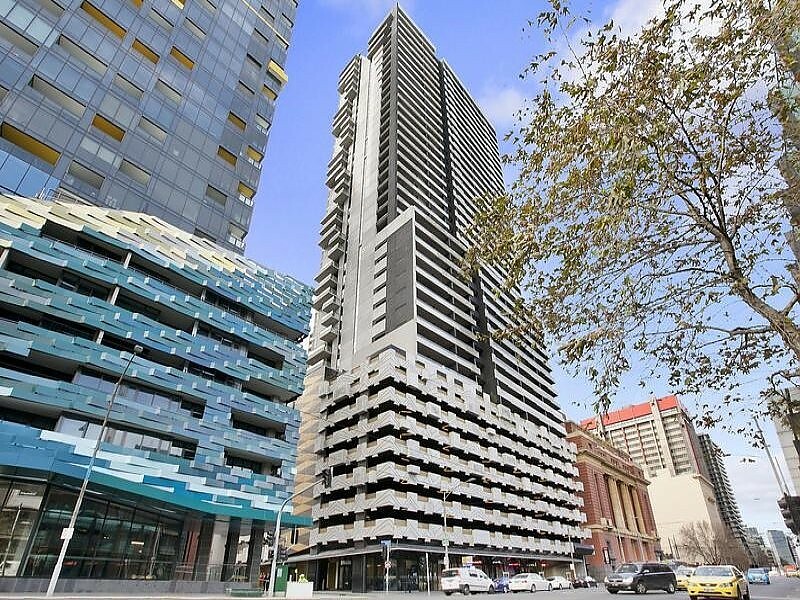 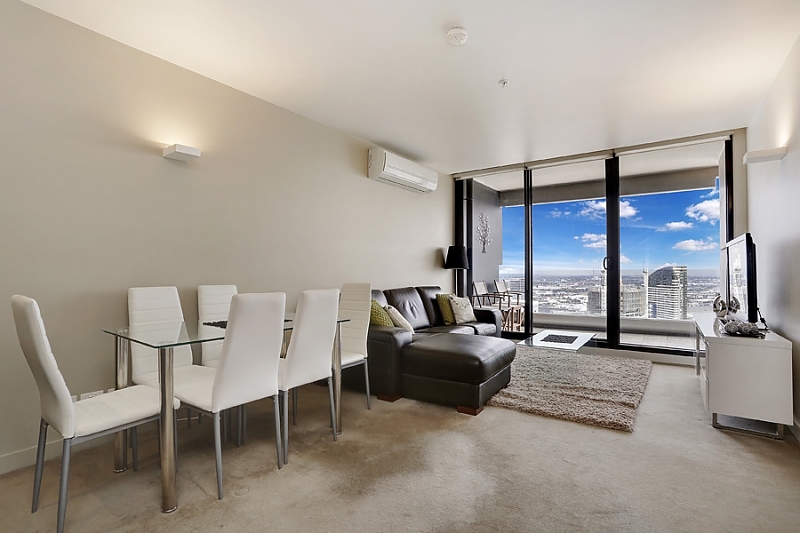 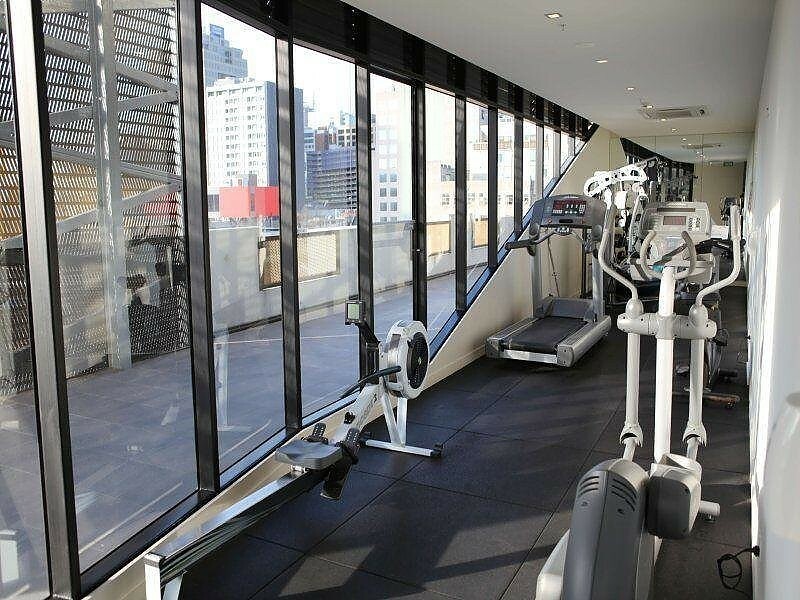 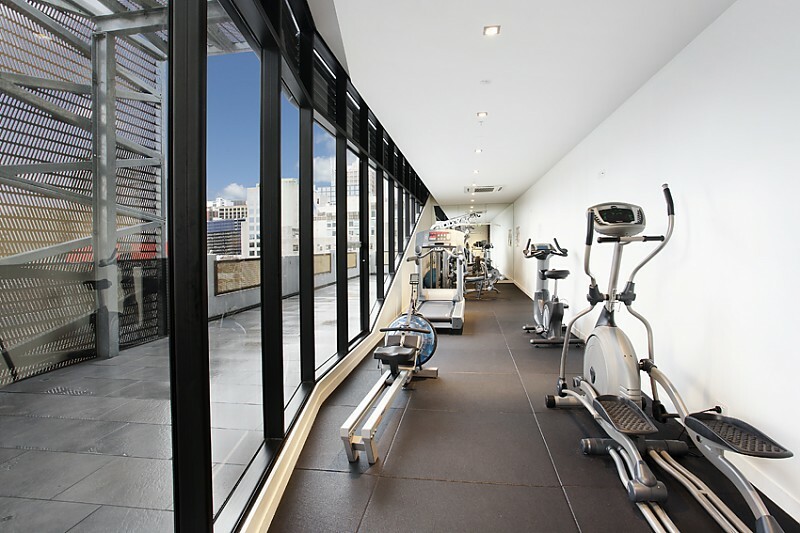 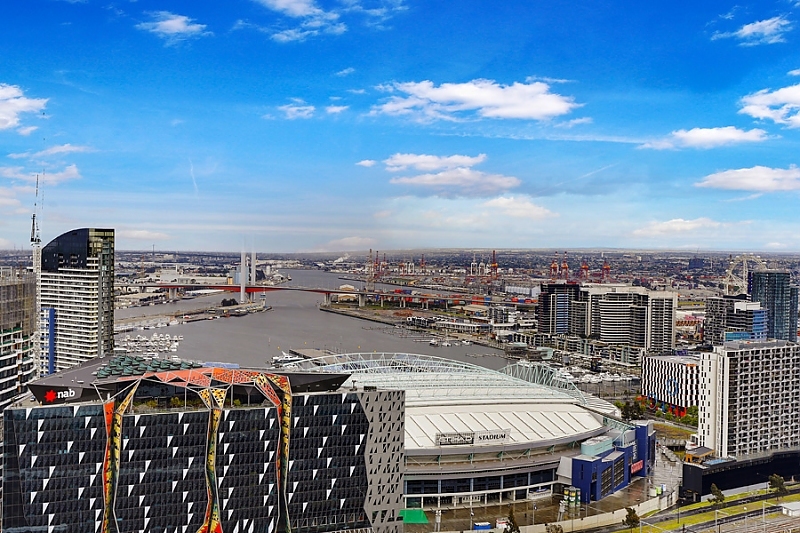 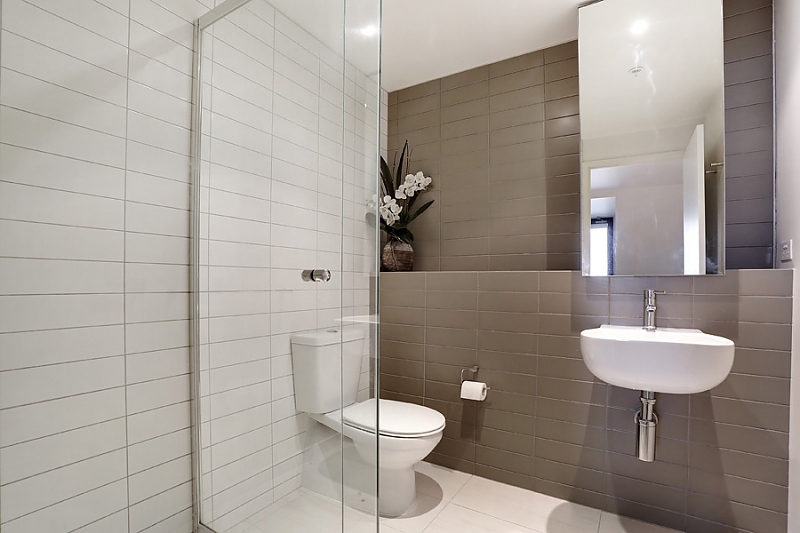 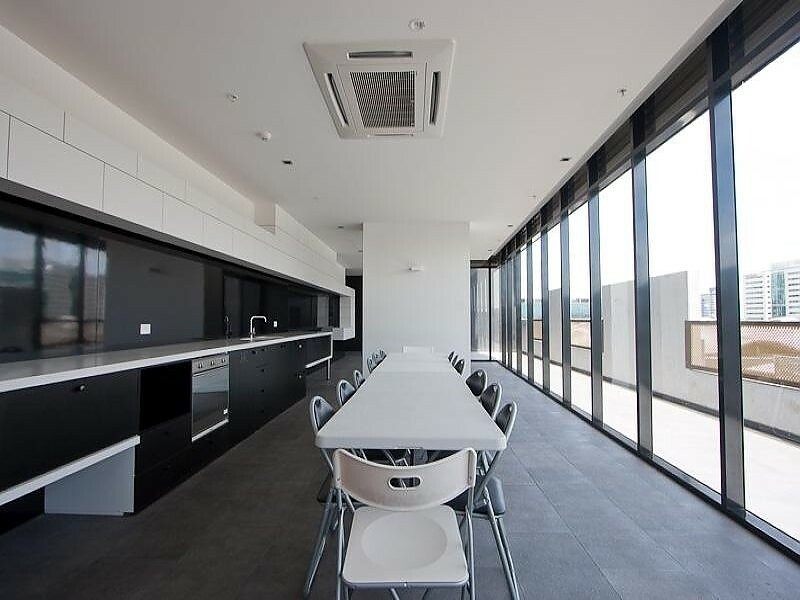 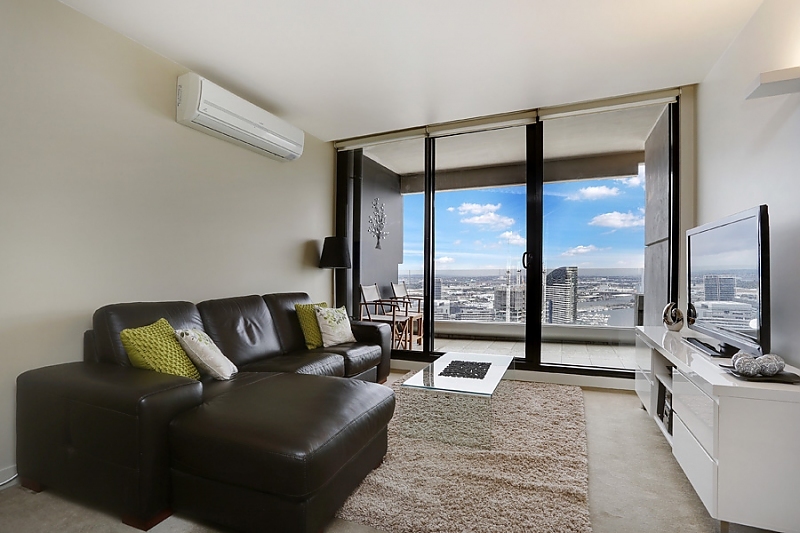 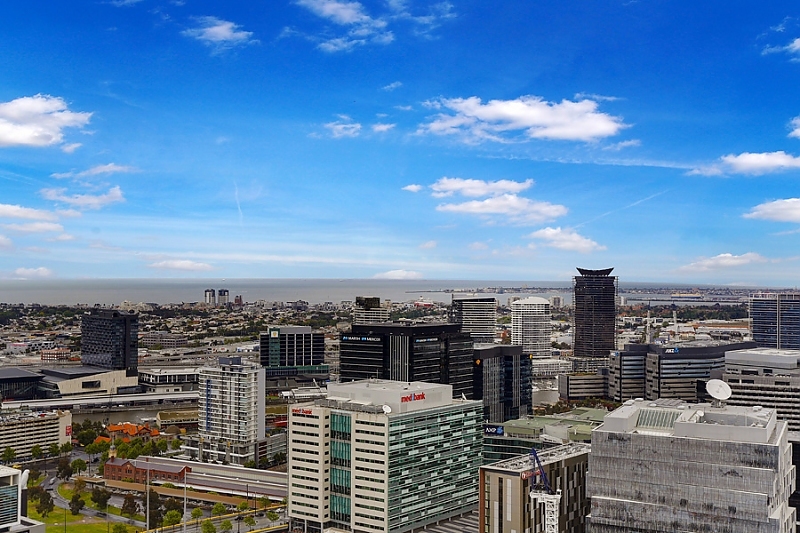 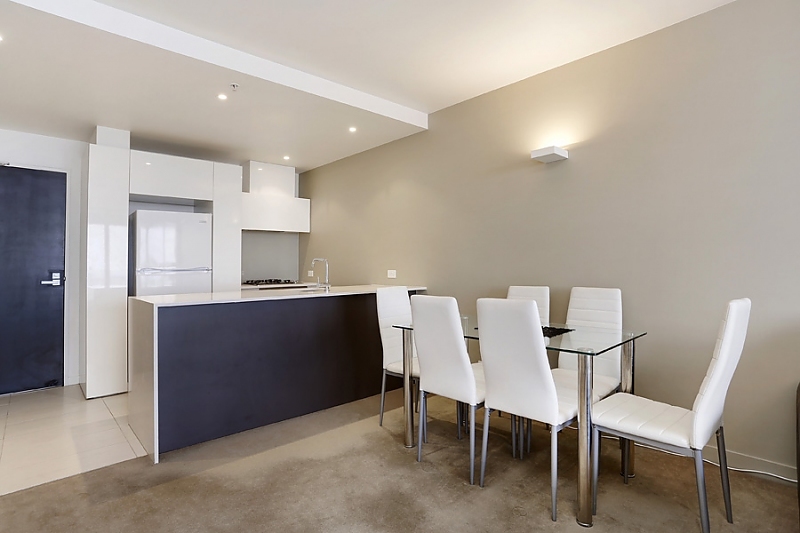 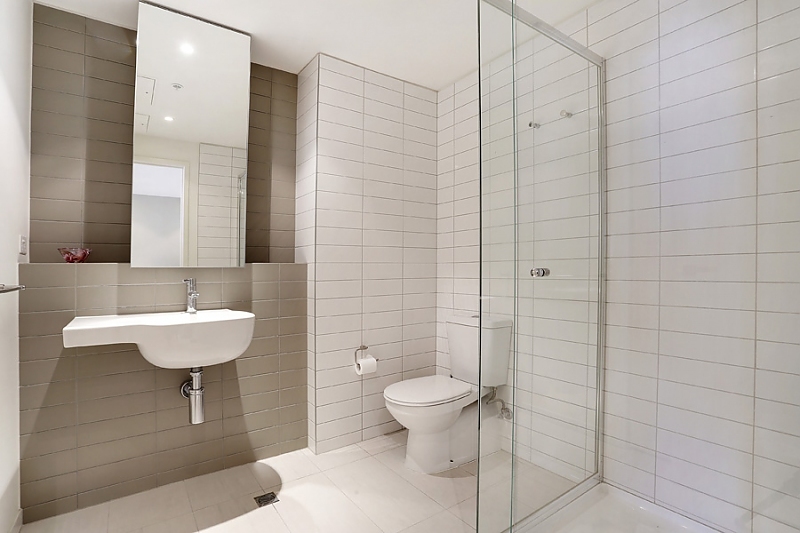 Spectacular city views extend to the horizon from this premium two-bedroom, two-bathroom security apartment set high on the 39th floor of an award-winning residential building ideally located easy walking distance to all Melbourne CBD has to offer. 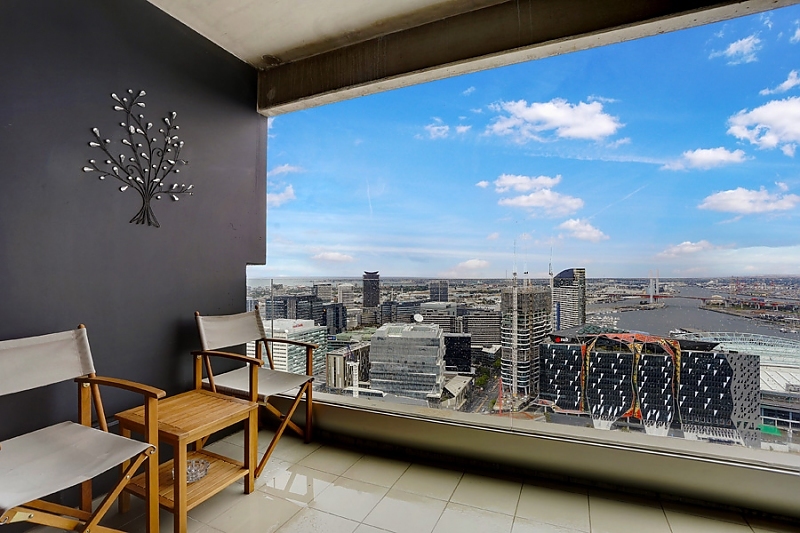 Floor-to-ceiling views capture immediate attention from the carpeted living/dining room with split-system air conditioning and stunning balcony with frameless glass balustrade. 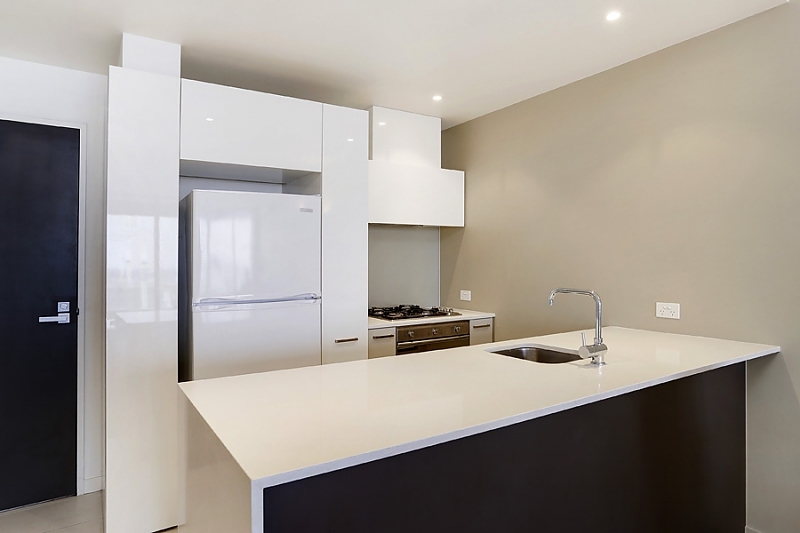 Cook up a storm in the full-sized modern kitchen with gas cooking, stainless steel appliances, dishwasher, microwave and stone-top breakfast bar with waterfall edge. 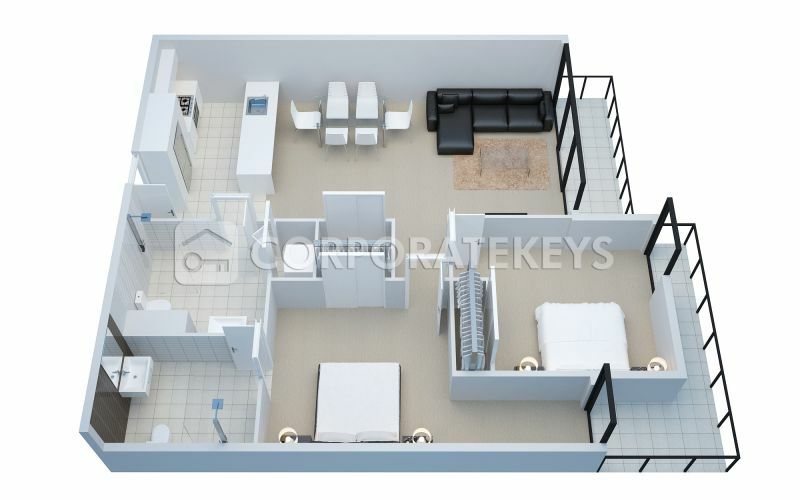 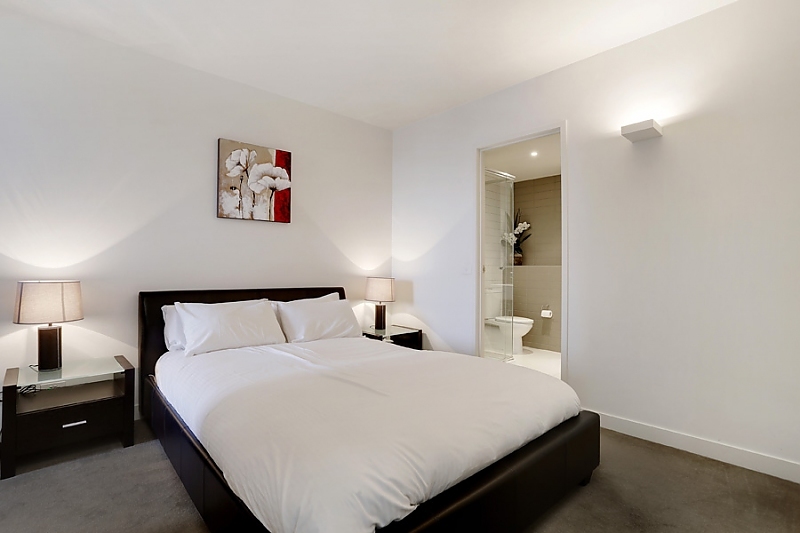 There are built-in robes to both bedrooms, plus a study nook and second balcony to the master, and the main bathroom will impress with floor-to-ceiling tiles in a stylish monochrome theme, frameless glass shower and European-style laundry with washer and dryer. 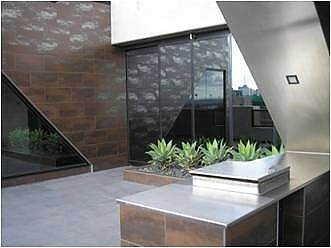 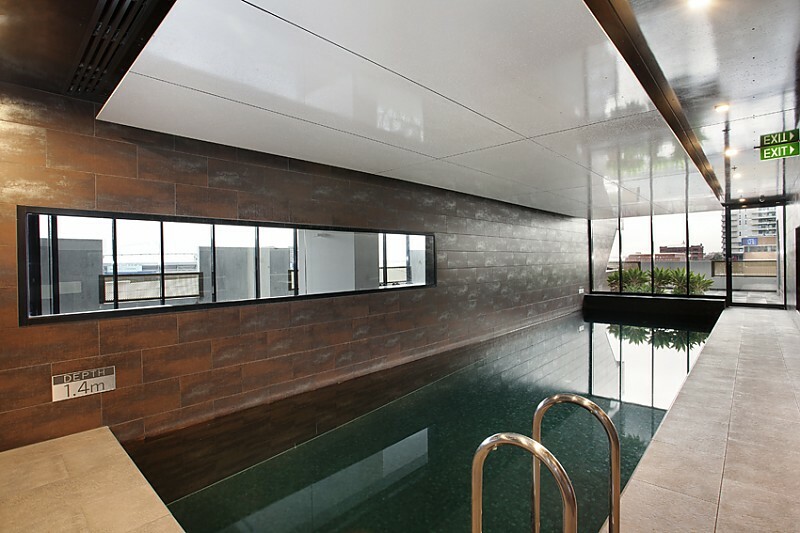 The popular designer complex also offers an indoor pool with barbeque area and an air-conditioned gym with sauna to keep you fit and healthy.